Abstract: Workers commute a short or long distance between the workplace and their residence each day. Daily commuting costs them a lot of time, which not only consumes their time but also waste their energy. Obviously, Airwheel R8 electric Mountain bike becomes a handy vehicle for citizens. 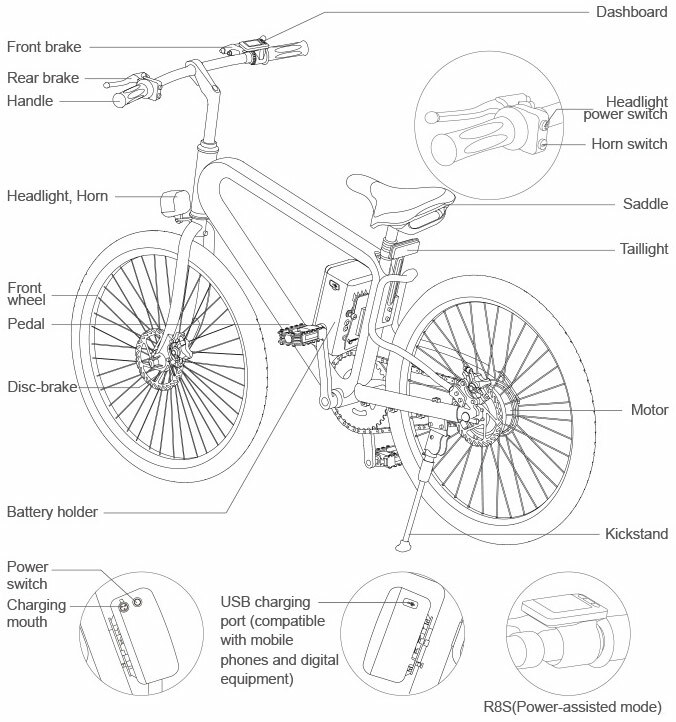 The design of Airwheel R8 smart electric mountain bike is as traditional as modern. It is quite traditional because it adopts the design of chains like the traditional bicycle. With the help of the chains, it supports manual mode. On the other hand, it is innovative and modern. Internally routed cables keep the frame clean and reduce the potential for snags and scratches, many riders like that the top tube is completely clean for transporting with hang style racks. It is worth mentioning that the triangular frame is formed by a bending long pipe, with an aluminium alloy casting to lock the joint, leading to high performance of crush resistance. Light and stable triangular shaped design enables the light body to bear 100KG load, a remarkable combination of structure and material. 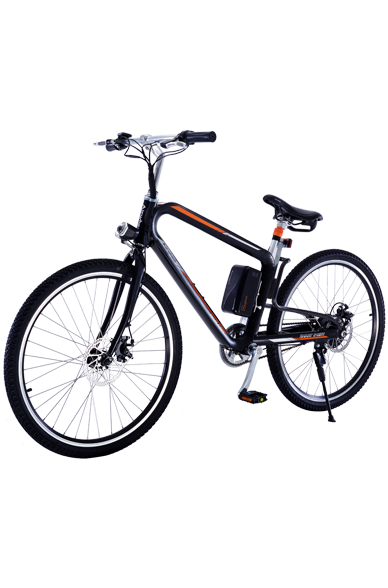 What is more, its operating arm can be adjusted which makes R8 electric mountain bike suitable for all the riders with different statures. The battery pack looks great as well, the base is cupped by an aluminium flange that extends towards the motor and stickers connect the two sections. Micro USB port on the battery can run some electronic devices or help charge the daily electronics, like your smartphone and a bright headlight for dusk or trail rides. More importantly, the multiple ride modes help riders achieve different purposes. Riders can choose the pure-electric mode or the moped mode to arrive at office in time. They ride it to work and home every day, which not only makes you be the star in the street, but also help you get rid of the annoying traffic congestion, especially when you are going to be late for school or for work. After work, they can ride R8 electric cross bike in the man-powered mode to do exercise and to release pressure. Also, you can ride cross country or trail with Airwheel R8, the travel is versatile and highly adjustable here. Previous：Which Airwheel New Arrival Is Your Type—Smart Electric Bike, Sport Helmet Or The Smart Chair?